On behalf of the Search Committee and the Board of Trustees at the International School of Charlottesville, we are pleased to announce that after a comprehensive global search which attracted many highly qualified candidates, Ms. Kristina (Tini) Bennett has been appointed as the new Head of School at the International School of Charlottesville, VA, USA effective July 1, 2018. Ms. Bennett is currently the Head of School at Dar es Salaam International Academy in Tanzania and was previously the PYP Coordinator there. She was also the founding Headteacher at the Starehe Nursery School in Mwanza, Tanzania and then became the Director of Education at the Starehe Children’s Home, an orphanage for 120 children ages 2-7. Kristina has international school teaching experience and graduated from the Atlanta International School with an IB Diploma after attending the John F. Kennedy School in Berlin. She earned a BA in English Language and Linguistics at the University of Surrey in Roehampton, England, where she also achieved Qualified Teacher Status (QTS). At present, Ms. Bennett serves on the Board of Directors of the Association of International Schools in Africa. A native speaker of both German and English, she has a strong background in the IB (PYP through IB Diploma) and in leading teachers through the accreditation process. Kristina will be joined in Charlottesville by her husband and their two young children. We would like to thank all candidates who expressed interest in the Head of School position at ISC, and to everyone who assisted and supported the search process. The International School of Charlottesville (ISC) is an independent school located in Charlottesville, Virginia that offers a holistic French and Spanish language immersion educational experience for young learners ages 2-6. Children in both our French and Spanish tracks acquire language in all academic subjects from teachers who are native speakers, allowing them to develop both linguistic and cultural fluency while experiencing a rigorous, broad, and inquiry-based curriculum. 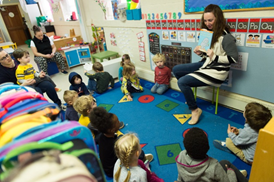 Founded in 1998 as the one-room La Petite Ecole, ISC added Spanish as a second language in 2003, and earned our first NAEYC accreditation in 2008. Having just earned our latest re-accreditation in 2016, ISC currently enrolls 130 students aged 2 through 6, and comprises 20 faculty and staff members. The vitality, creativity, and expertise of our teaching faculty have been instrumental to our school’s identity and success, and our community is enriched by the diverse perspectives and customs they bring from French and Spanish speaking countries around the world, including: Argentina, Chile, Colombia, Costa Rica, France, Honduras, Mexico, Spain, and the United States. 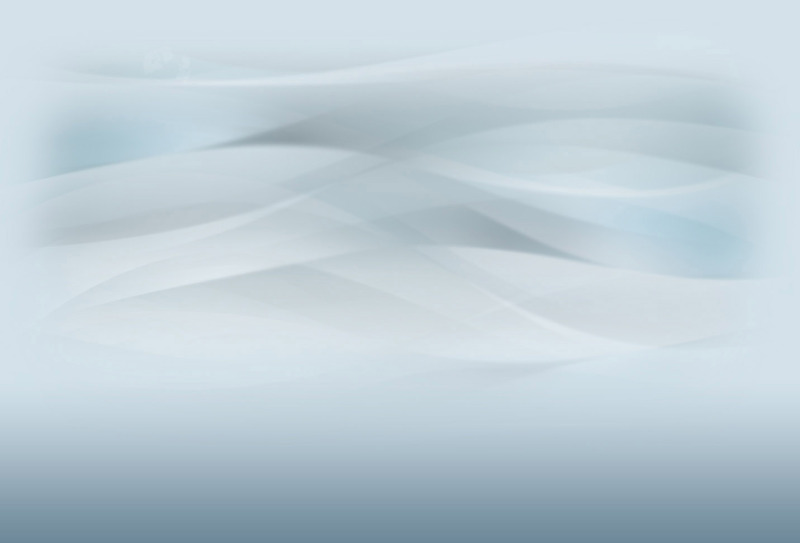 ISC has a strong administrative team and with distributed leadership responsibilities, as well as a strong support team with increasing expertise, competence, and integrity in curriculum and teaching, student learning & support, business operations and logistics. Responding to especially high demand throughout the last three years, the ISC will add a second campus and 40 additional students for our 2017-’18 school year. At both campuses, ISC leases space from churches in the Belmont neighborhood of Charlottesville; however, with a solid foundation of finances and enrollment, the school has collaborated throughout the past year with the nationally-recognized architectural firm VMDO to prepare for the purchase of land and the construction of our own educational facilities. We will look for our new Head of School to bring this expansion to realization. ISC’s Board of Trustees will be a helpful partner to the new Head in these initiatives. Public schools in surrounding Albemarle County continue to develop their own bilingual immersion programs, which helps increase demand for ISC’s education, yet also increases competition in an already competitive market for bilingual teachers. ISC’s new Head of School must be an adept, experienced recruiter and an adroit retainer of strong faculty. At its essence, an ISC education is about building bridges with others. We have worked deliberately to cultivate a strong and palpable sense of community among teachers, children, and parents. Through Friday afternoon socials, weekend hikes, family play-time after school on the playground, and periodic special events, ours is a cohesive and spirited community, and it is important that our next Head of School also values and prioritizes the continued cultivation of this spirit. 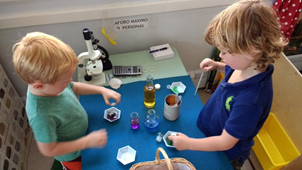 Children at ISC become global citizens through hands-on exploration of their environment; open- ended experimentation with materials and ideas; and full immersion in a multilingual, multicultural community. Through participation and play in a safe and nurturing environment, children develop strong self-esteem and interpersonal skills, in addition to academic, artistic, and cultural competencies and curiosity. The ISC’s deep experience in bilingual pedagogy supports children to develop flexibility, creativity, higher-order thinking, goodwill, and literacy across languages and cultures. As a result of their time at ISC, children develop well-rounded social, emotional, interpersonal, and intellectual skills. With the research-based best practices articulated by the National Association for the Education of Young Children (NAEYC) as our unifying touchstone, ISC faculty facilitates a constructivist, responsive approach to learning, that is suffused with interactive, student-centered bilingual experiences. 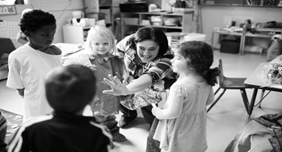 Seizing upon the diverse cultural and educational backgrounds of our teachers, the ISC embraces and incorporates elements from Reggio Emilia, Montessori, and Waldorf schools, along with project-based learning experiences. 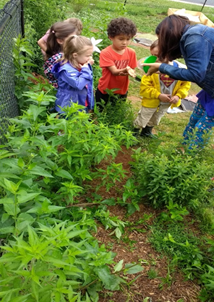 In order to process new information and acquire new skills, children must explore with their whole being; thus educators follow children’s interests to create an emergent curriculum that unfolds with structured, immersive language support. 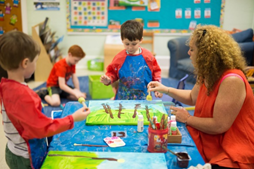 Art, music, nature, mindfulness, and imaginative play are among the ingredients with which ISC students co-construct their multicultural understanding of the world. ISC is committed to educating its students in an environment where diversity and inclusion are embraced and celebrated. In the face of our recent rapid growth, ISC’s administration and Board of Trustees have taken measures to attract students from a wide variety of backgrounds, offering tuition assistance to the families who need it, both in the form of scholarships and mutually enriching work-for-tuition cooperative agreements with families who want and are able to contribute time and talents to the school. 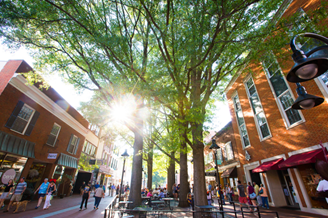 Nestled in the beautiful rolling hills just east of the Blue Ridge Mountains and Shenandoah National Park, Charlottesville has earned the title “The Happiest Place in America” by the US National Bureau of Economic Research. A small but growing and increasingly cosmopolitan city of about 50,000 residents, Charlottesville boasts an eclectic array of international restaurants, theaters, boutique shops, and museums, along with countless enrichment opportunities for children, the City’s highly acclaimed pedestrian Downtown Mall and the University of Virginia, one of the premier state universities in the United States. In the county of Albemarle immediately surrounding the town, one can find important historic sites like Thomas Jefferson’s Monticello, James Monroe’s Highland, and a host of wineries, breweries, parks, farms, rivers, and lakes. 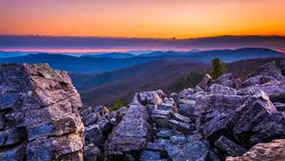 Further afield, Richmond and Washington D.C. offer more urban experiences one- and two hours away, respectively, and the 200,000-acre Shenandoah National Park can be reached within a 30-minute drive. The International School of Charlottesville has appointed Search Associates as consultant in the Head of Lower Primary School search with Gunther Brandt and Julie Ryan being the lead consultants. The deadline for applications is October 1, 2017. Candidates are asked to submit a letter of interest and the requested materials as early as possible as the Search Committee reserves the right to close the selection process at any time if the right candidate is found. The review of files will begin as soon as applications are received. Additional information about the International School of Charlottesville can be found at the school’s website at theisc.org.